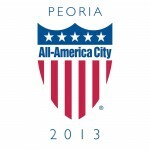 We Want Your Input for Peoria Riverfront’s Future Development! Peoria, IL (March 28, 2019) The city of Peoria will hold a public meeting on Thursday, April 4th on the Riverfront Master Plan, the planning study for the downtown riverfront area running from the Bob Michel Bridge to the Riverplex, and from the river to Water Street. The planning effort will also explore land use, access, transportation and parking in the larger downtown area which may affect the riverfront. This will be a planning charrette and an opportunity for you to share your thoughts and ideas. The meeting will be held at the Gateway Building, 200 NE Water Street, from 5-7 p.m. A formal presentation on the study begins at 5:15 p.m. The Gateway Building is accessible to disabled individuals. Individuals with special needs should notify Mr.Ghareeb, at least 5 days in advance of the meeting, at the address and phone number below. For more information about this meeting or the study in general, contact: Mr. George Ghareeb, P.E., Terra Engineering, Ltd. 401 Main Street Suite 1560, Peoria, IL 61602, Telephone (309) 999-0123.